Every holiday has a rich story behind it, and Grandparents Day is no exception. Families are free to create their own traditions, and observances can take many forms from cooking, quilting, dancing, dinning, to making photo album collages. There isn’t a set activity that defines how we celebrate grandparent’s day; it’s how we choose to bond with our family that makes this day special. Grandparent’s day has been celebrated nationally every first Sunday after Labor Day in September since 1978. Grandparents day didn’t happen over night – it took a couple of years and a lot of dedication from a Mother of 15. Mrs. McQuade a very active citizen in her community made it her goal to honor grandparents in the U.S., by helping children become aware of the important heritage our elderly family can provide us with. Since 1978 families have been able to close generational gaps and learn more about their ancestry. Families are finding creative ways of honoring them with personalized gifts for grandparents, from photo collages to unique grandchildren picture frames. 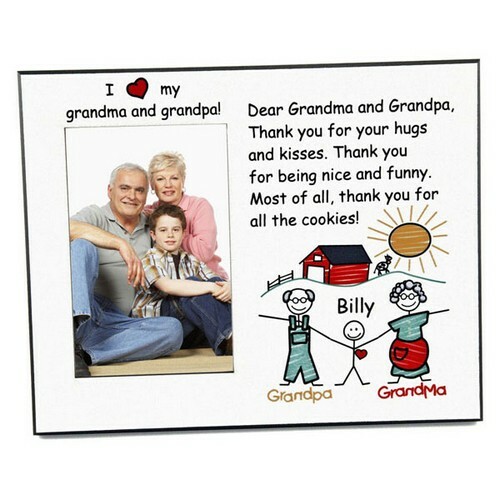 Finding a gift for our grandparents who have seen it all may not be easy, but a little personal touch goes a long way. Our grandparents not only bestow their wisdom, they are also the foundation that nourishes our families heritage and traditions. This engraved fir wood plaque for Grandpa is a great symbol of just that, a solid foundation with layers that tell stories of their own. 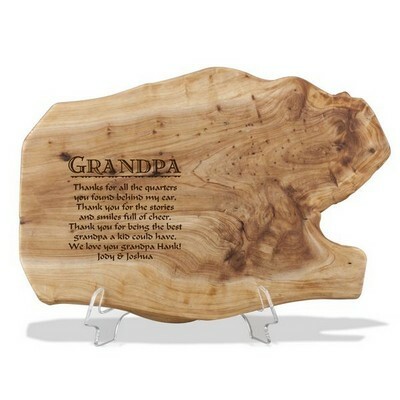 Engrave this gift with a special message of a shared memory for them to display. When our own heritage gets a bit fuzzy our grandparents are always there to clear the way. 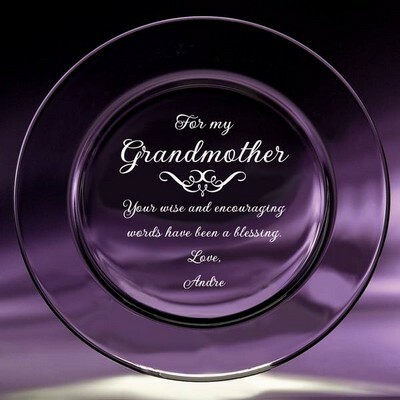 This crystal keepsake plate for grandmother is an elegant gift she will love. A beautiful representation of how their knowledge and wisdom is unclouded. At times it may not seem like our grandparents have had much influence on us, but gifts like this personalized grandparents picture frame remind us that they’ve been around since our first steps. Another great gift to give is a bit bigger then the picture frame, the personalized photo canvas concentrates on the subjects. When words can’t express your emotions the photo canvas is the right gift to give. This gift sums everything grandparents represent, a guide back into our heritage and traditions. 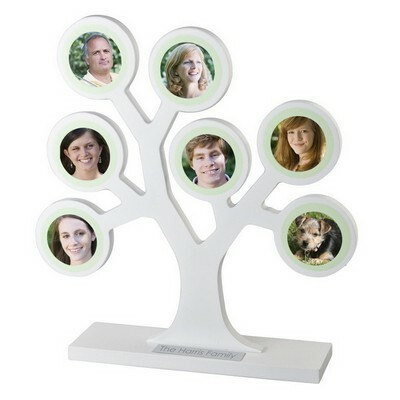 This personalized family tree picture frame is a creative way of displaying how important your grandparents are to you. Whether it’s a homemade or personalized gift the important thing to keep in mind is that you spend it with your grandparents. This September 9th, make it a memorable grandparents day with a unique idea of your own.